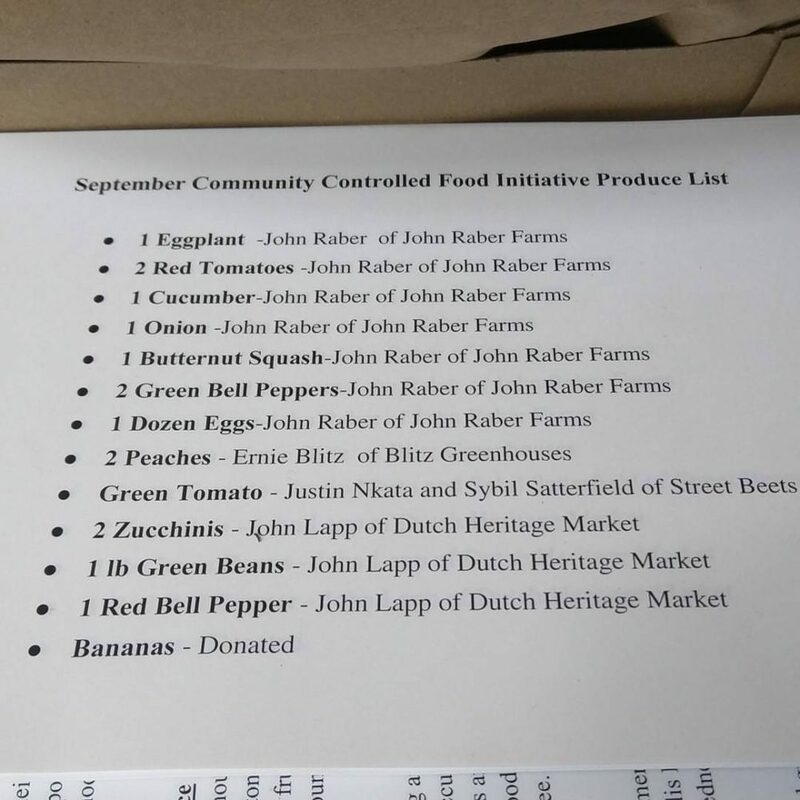 The Community Controlled Food Initiative is a food solution developed with Kheprw Institute and neighbors to address the food access challenge by empowering residents to have agency and use the resources we have. Starting in June 2016 we have come together every month to purchase collectively from local farmers, including urban farms in the neighborhoods we serve, and have distributed the food on the second Saturday of every month at a potluck meal and cooking demonstration. Builds relationships within and across neighborhoods, communities, age, race, class, etc. creating social capital that enriches everyone’s lives. Builds the leadership skills and agency of CCFI volunteers, organizers and members which have lifelong impacts on individuals, families and communities in ways that cannot be easily measured. We would like to grow our CCFI community through increased marketing and community engagement. We would also like to provide information, training and support to other communities/groups that want to create their own version of CCFI to help replicate across the city and beyond. Why might this be a valuable solution for Indy? With the recent closings of Marsh there is an incredible amount of energy as people look for community-led solutions where traditional institutions and markets have failed. What resources, advice or support would be helpful for you in moving forward? Need to connect with other communities who are interested in organizing.